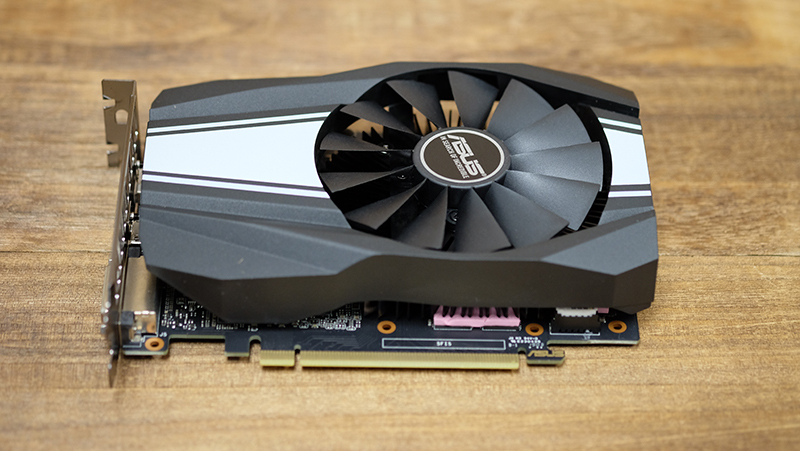 The NVIDIA GeForce GTX 1660 Ti is still fresh from the oven, but the company is already back with yet another card for gamers on a budget. The GeForce GTX 1660 is based on the same TU116 GPU as the GeForce GTX 1660, and it features all the benefits of the Turing architecture, including support for concurrent floating point and integer operations, a unified cache architecture, and adaptive shading. On top of that, it also has the enhanced NVENC encoder like the other Turing GPUs, so there's support for H.265 (HEVC) 8K encode at 30fps. The new encoder also offers up to 25 per cent bit rate savings for HEVC and up to 15 per cent savings for H.264, so you can stream at a lower bit rate and achieve better image quality than you would on a Pascal GPU. As its name might suggest, the GeForce GTX 1660 sits somewhere between the GeForce GTX 1660 Ti and the GeForce GTX 1060. At US$219, it'll be an appealing choice for those running on a tight budget, and a sensible upgrade if you're running a GeForce GTX 960 or 970 and older. 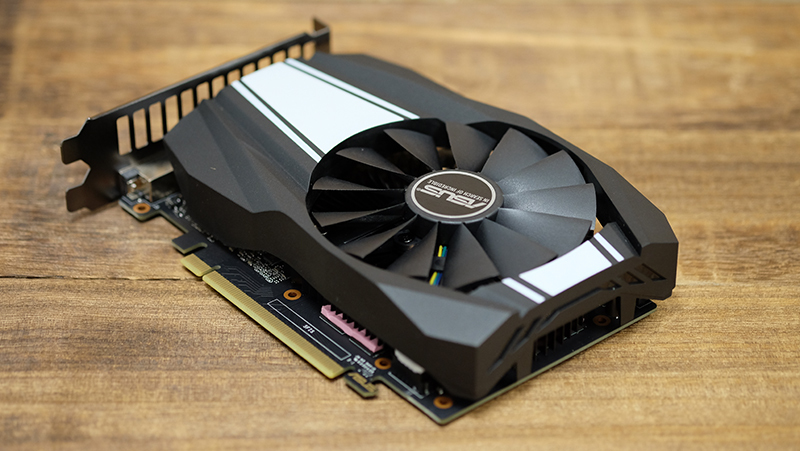 According to NVIDIA, nearly two-thirds of GeForce owners are still using GPUs at the level of the GeForce GTX 960 or worse, so the GeForce GTX 1660 should look like a pretty compelling upgrade for these folks. However, like the GeForce GTX 1660 Ti, the GeForce GTX 1660 also doesn't feature any RT and Tensor cores, but its target audience probably won't miss them. Either way, NVIDIA looks like it's focused on making it easier for users to upgrade and at as low a cost as possible. For instance, the GeForce GTX 1660 has a TDP of just 120 watts, so you probably don't have to go get a new power supply. The card will also run off a single 8-pin power connector. NVIDIA isn't releasing a Founders Edition this time either, and it's going straight to launch with custom models from its partners. 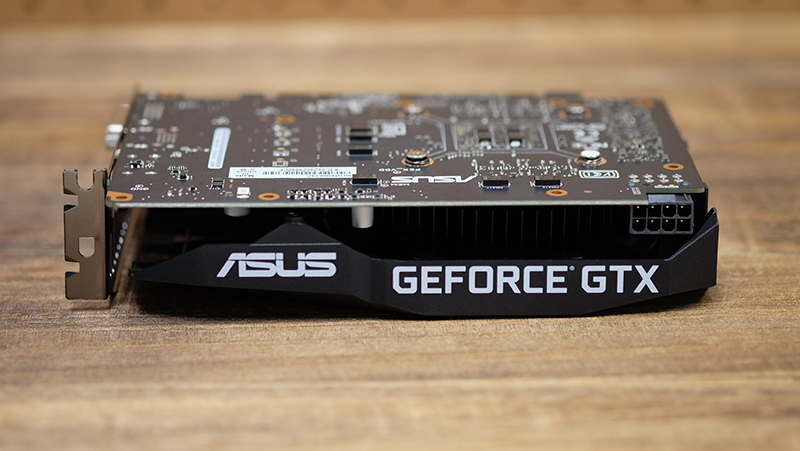 The ASUS Phoenix GeForce GTX 1660 I'm reviewing today is a mini-ITX card that features a compact, single-fan design. It measures just 174mm long, so it'll fit in even the most compact of cases. In Gaming mode, it has a base clock of 1,530MHz and boost clock of 1,800MHz, slightly up from the default 1,785MHz base clock. OC mode pushes the clock speeds slightly higher to a 1,560MHz base clock and 1,830MHz boost clock. The single fan uses ASUS' wing-blade design, which features drooped tips on each fan blade in order to reduce drag. The fan also utilizes dual ball bearings for improved durability and longevity. 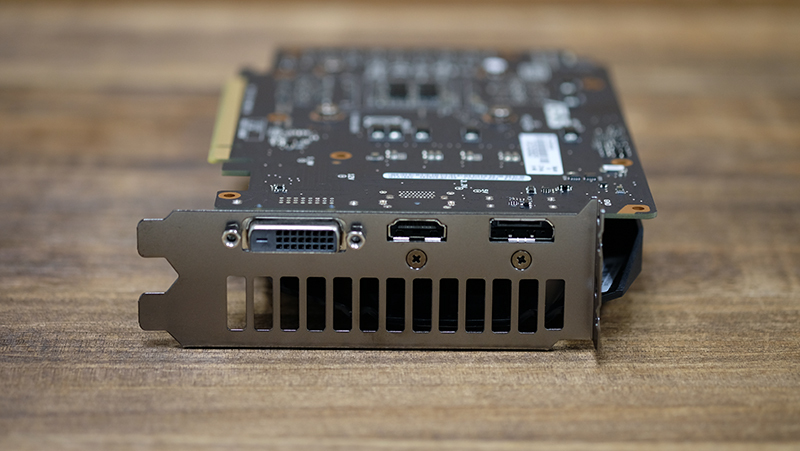 Round the back, the card features just three display outputs, including one HDMI 2.0b, one DisplayPort 1.4, and one DVI-D connector. That said, NVIDIA says the GPU actually fully supports VirtualLink connections over USB-C as well, and it's up to individual manufacturers to implement it. But first, what are its specifications? Compared to the GeForce GTX 1660 Ti, the GeForce GTX 1660 strips back even more features. For example, it has just 6GB of older GDDR5 memory, the same as the GeForce GTX 1060, instead of faster GDDR6 memory. As a result, there's a noticeable drop in memory bandwidth, which may be especially apparent if you run higher quality textures and resolutions. That said, the GeForce GTX 1060 6GB launched at US$249 for partner boards, but the US$219 GeForce GTX 1660 is shaping up to be both faster and cheaper, so it's difficult to really complain. NVIDIA also isn't making available different memory configurations, and all the cards will ship with the same 6GB of GDDR5 memory.